Uses high energy light photons to accelerate your healing, reduce inflammation, and reduce pain. Painless and safe with any implant, pacemaker, or other medical implanted device. Total wellness is controlled by the electrical connections (nervous system) from your brain to every cell of your body. Healthy normal cellular connections can be measured electrically on a microcurrent level. 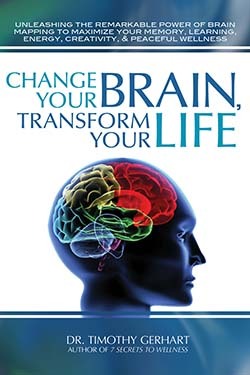 Optimizing your wellness begins with healthy normal brain wave activity in the lobes of your brain. Normal brain wave activity then connects to every cell in your muscles, organs and glands. Injuries, illnesses, inflammation, concussions, autoimmune diseases, chronic pain syndrome, fatigue, back spasms and much more can disrupt the normal flow of electrical energy needed for wellness. Microcurrent therapy has been shown to increase cellular energy production (ATP) by 400%. This acclerates your healing, decreases your inflammation and decreases your pain. Microcurrent therapy can play a primary role to re-establish your body’s normal nervous system function. Using extremely low-level electrical currents (microcurrents) the following conditions have been known to respond to microcurrent therapy: nerve/muscle pain, inflammation, fibromyalgia, neuopathy, sciatic nerve pain, back spasms and other health challenges. We also use a specialized microcurrent therapy call ‘Frequency Specific Microcurrent’ (FSM). Acupuncture points in the ear are stimulated with microamps (millioneth of an amp) to increase cellular energy production, accelerate healing, decrease inflammation and decrease chronic pain. 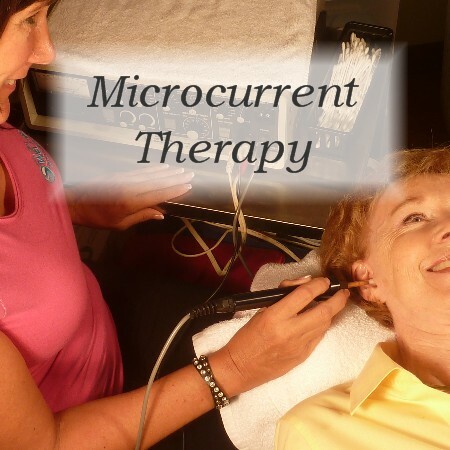 Microcurrent: Uses gentle electrical currents at microamp (millioneth of an amp) to stimulate ear acupuncture points to increase cellular energy production to accelerate your healing, decrease your inflammation, and decrease your pain. Your ear acupuncture points are your body’s computer“keyboard” into your central nervous system. This means your whole body is laid out on your ear like a map (see chart on wall in therapy). Ear acupuncture has been used to help people for thousands of years and used in Europe for over 600 years – since the invention of the printing press. It has been shown effective for many with fatigue, depression, pain, addiction, sleep problems, and anxiety. 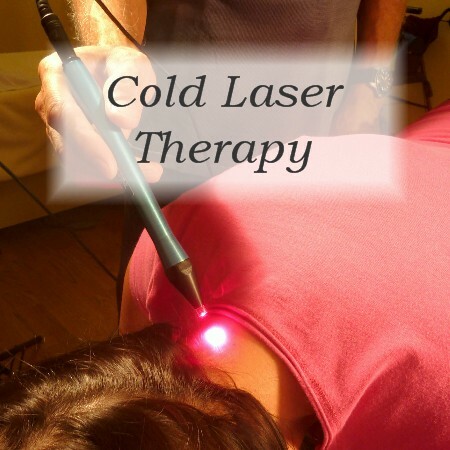 Laser: Uses high energy light photons to stimulate ear acupuncture points to increase cellular energy production to accelerate your healing, decrease your inflammation, and decrease your pain. Your ear acupuncture points are your body’s computer“keyboard” into your central nervous system. This means your whole body is laid out on your ear like a map (see chart on wall in therapy). Ear acupuncture has been used to help people for thousands of years and used in Europe for over 600 years – since the invention of the printing press. It has been shown effective for many with fatigue, depression, pain, addiction, sleep problems, and anxiety. Acupuncture: same as above using acupuncture wires (we use term “wires” since many times smaller than “needles” and thus less scary) inserted into ear points. For those who prefer a “needle-free” therapy, we can use microcurrent or laser instead. Only Dr. Gerhart is trained and licensed to insert acupuncture wires at Renovare. Uses gentle electrical currents at microamp (millioneth of an amp) to stimulate ear acupuncture points to increase cellular energy production to accelerate your healing, decrease your inflammation, and decrease your pain. Rebalancing electrical flow in the body much like tuning up a car. Also, helps to rebalance cellular signaling and “recharge” your battery. Highly effective for many to accelerate healing, reduce inflammation, and reduce pain. 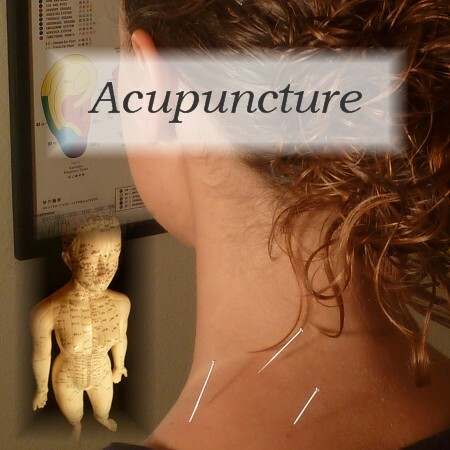 At Renovare, only Dr. Gerhart is trained and licensed to insert acupuncture wires. Chiropractic Assistants may assist Dr. Gerhart during wire insertions and Chiropractic Assistants may remove acupuncture wires. Uses high frequency sound waves at a million cycles per second to boost cellular energetics, improve circulation, and turn-off pain nerves. It is especially effective in softening hard muscle and connective tissue knots, scar tissue, and lumps. When a highest-grade unit is used at high intensity, it is effective in breaking down scar tissue and adhesions so your body carries away the debris in your lymphatics and can replace with healthy, flexible connective tissue. Note: Diagnostic ultrasound imaging is a more recent off-shoot of therapeutic ultrasound. Therapeutic ultrasound is NOT safe over medical implants – metal rods, screws, pacemaker, defibrillators. It is not safe over body prominences as it can create “hot spots”. It is also not safe over the uterus of a pregnant woman. Pulsed Magnetic Therapy (PMT or PEMF) is a new approach to pain management and healing that uses magnetic fields to boost cellular repair, metabolism, circulation, detoxification, and healing. Pulsed Magnetic Therapy re-energizes damaged cells by dramatically boosting cellular energy production and cell membrane energy levels – up to 90 meV (millivolts). meV measures cell membrane energy levels which are needed to pump nutrients in and toxins out of each cell. Power Plate Acceleration Therapy uses using a hyper-gravity effect to stimulate the body’s natural response to vibration to stimulate bone growth, muscle building, nerve regeneration, and improved cellular matrix detoxification. Your energy, spinal and brain health, pain, and whole-body Wellness is determined by your cellular energy production more than any other factor. For many, poor oxygen utilization is the limiting factor to their energy production, healing, and Wellness. Exercise Enhanced With Oxygen supports improved cellular utilization of oxygen to make energy. The exercise part can be PowerPlate Acceleration therapy or Exercise using an Upper Body Ergometer (UBE) which stimulates cerebellar function (part of your brain that controls balance, coordination, movement, and muscle tone).